A tiny grab and go mouse, that is also a presenter! At a $69.99 price point, it needs to be in the bag of every road warrior. It is a basic wireless mouse, but when you lift it from the desktop, you have the ability to advance or reverse slides that are being displayed on your laptop or projector screen. Contour has long been known for high performance sports and adventure video - but they were concentrated at the premium end of the marketplace. Not any longer! 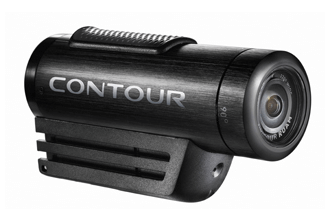 The new ContourROAM has an MSRP under $200! And, they've paid attention to ease of use, introducing one-step recording. Just slide the record switch, and you're instantly filming. Easy as that. It's the ideal camera for a fun, stress-free experience capturing your adventures anywhere life takes you. Interview by Andy McCaskey of SDRNews for the TechPodcast Network. Is your home infested with Wall Warts - the wall transformer power supplies that seem to multiply like rabbits in any home that has a tilt towards technology? 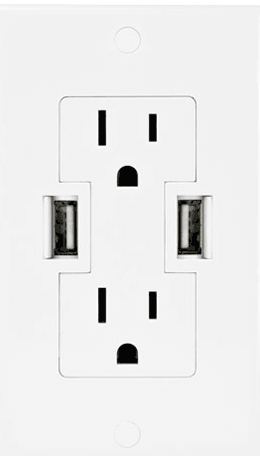 The OWC wall outlet is a solution to that problem -most assuredly wife approved, removing cords and clutter from countertop, desk, or dresser. You don't have to unplug the light to charge yourApple iPad ,iPhone, Android tablets and phones, tablet computers, cellphones, gaming systems (Nintendo, Sony PSP, etc. ), Bluetooth headsets, digital cameras, or GPS devices which charge via standard USB plug. This innovative Swedish design mimics a fountain pen,creating a natural working position, eliminating unnecessary "mousing around" in endless clicking. The mouse looks, feels and moves like a pen., with natural position of the forearm on the work surface. Penclic Mouse has 5-buttons and scroll wheel. The left click, right click and middle click are on the pen shaft's right side. On the pen shaft's left side the backward click and forward click for surfing are positioned. 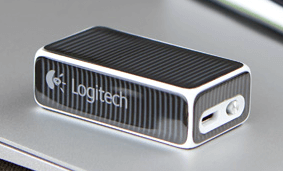 It is offered in wired and wireless (Bluetooth) versions. It's kind of like Apple's Airplay, but with multiplatform support for Android, game consoles, internet connected TV's, laptops, desktops and mobile devices. Shodogg is a video delivery platform that allows any smartphone the ability to send any streaming media content to any screen whether it's a desktop, a tablet or an Internet enabled television. This app from iOnRoad turns your Smartphone into a Personal Driving Assistant. This app (Android now, iOS to come) mounts in the center of your windshield and uses the built in video camera to look at the road ahead. It then computes the closing speed to vehicles or objects ahead and sounds a warning if things are moving too fast. What does this mean? It means that there are another pair of "eyes" on the road immediately in front of you. Collision warning, lane departure warning, and when you leave the car, a handy feature that allows you to locate your car when you come back after a flight.